Former Growing Pains actor Kirk Cameron recently spoke out against homosexuality and marriage equality, and his on-screen sister isn’t happy about it. 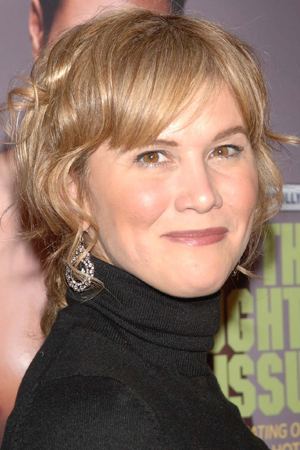 It’s not just an on-screen sibling rivalry anymore — actress Tracey Gold, who played the role of Carol Seaver on Growing Pains, is taking a stand against Kirk Cameron and his recent rant against homosexuality and marriage equality. Even more so, she also changed her Twitter icon to her NOH8 campaign image, showing her support of the legalization of gay marriage. Though she never mentioned her former co-star’s name, it’s clear that she’s addressing his recent appearance on Piers Morgan Tonight. He also clarified that he wouldn’t support any of his children if they revealed that they were ever hiding their sexual orientation from him. “I wouldn’t say ‘That’s great, son, as long as you’re happy.’ I’m going to say, ‘There are all sorts of issues we need to wrestle through in our life. Just because you feel one way doesn’t mean we should act on everything we feel,'” he said.